You approached with your hands outstretched, playing an “air” piano, or harpsicord. You danced and played to music only you could hear. Your clothing is medieval. The dress is beautiful with soft colors and layers of undulating fabric. The dress flows and sways with the melodies as you dance and play your instruments. The Hat is called a hennin. 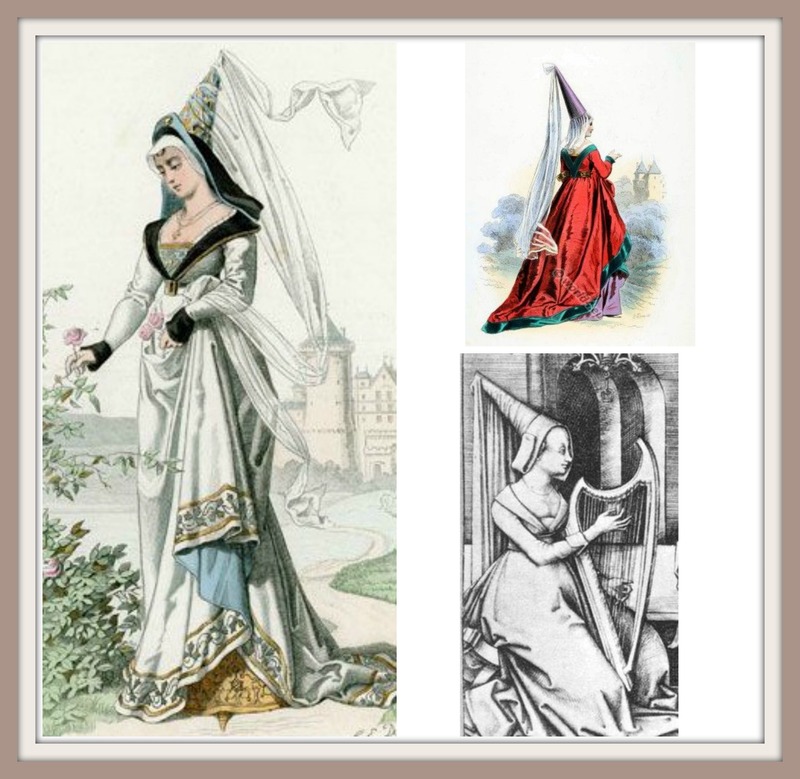 Hennins were all the rage for high-class ladies in the second half of the 1400’s. The Hat has a sheer veil hanging from it and although the Hat is tall, it suits your outfit and perfectly complements your Soul. You made it a point to show me your curled-toe slippers. They were intricately detailed with soft-hued colors and embroidery. I asked if you were a music teacher and you switched to playing air drums. You are proficient in playing any instrument. I asked if you also sang, and you said no – just instruments, but you can expertly play any instrument. You continued to play imaginary instruments, dance, and revel in the enjoyment of making your own music. I feel that by reading song books, it will trigger the memories that are already there in your Soul. It will help you remember how to be happy. You need to remember how to dance to your own tune. The first thing I saw were balls. Lots of colorful bouncing balls in many shapes and sizes preceded your entrance. Then a person appeared dressed in a huge, colorful satin ball outfit and I figured out that he was a clown. I didn’t see his face – just the beautiful costume. The huge ball costume was sectioned with several different colors. The satin was truly gorgeous in colors of pinks, blues and other coordinating hues. A ringmaster appeared in a red outfit and hat, but he was further away. I knew that he was not the main focus. Just as I was thinking, “Where is she?”, your Soul appeared. You entered in a most dramatic fashion! The others had to come before you because you had to make a dramatic entrance, which could only be done if you were the last to arrive. You were wearing a beautiful bright pink sequin costume. At first I assumed you were a trapeze artist, but you said, “Oh, no, no, no!” You showed me your hands and you wanted me to note how beautiful they were! I guess trapeze artists have calloused hands, and you did not. I saw your ballet slippers and I was confused, but you clarified that you were a tight rope walker! I was confused because I wasn’t aware that tight rope walkers wear ballet shoes. I found out in my research after the reading that the ballet shoes were correct for what you were telling me. Your costume was a one-piece, pink sequin outfit, similar to the pink picture below. The body of the suit was sleeveless, with a high neck. The legs were not high cut, similar to the picture, which is why I see this as a past life. 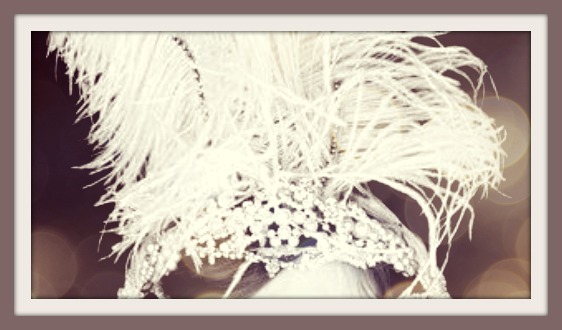 Your costume had long, tall feathers in the back and I wondered how you could balance with the feathers. 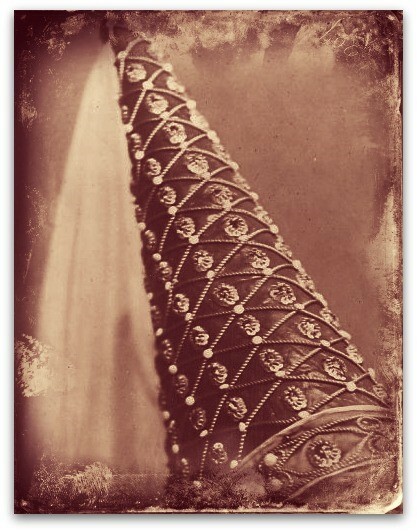 Your Celestial Hat is a Crown and you made it a point to show me that you have real crystals in the silver crown. You took the crown off and pointed out the sparkling gems. There are also some short white feathers in the crown. You are wearing light pink ballet slippers, like the style in the photos below. I’m not sure about the meaning of the many bouncing balls that proceeded your entrance. They were colorful, fun and entertaining. Perhaps these represent your many admirers? This message could be interpreted in several ways. Go with your first reaction as how you think it applies to you. You may balance a fine line in this life, but your tight rope walker Soul is well equipped to handle it! Those lines kept going through my head. I saw black and white first. It was your skirt. It is a tea-length skirt with a wide black and white plaid pattern. 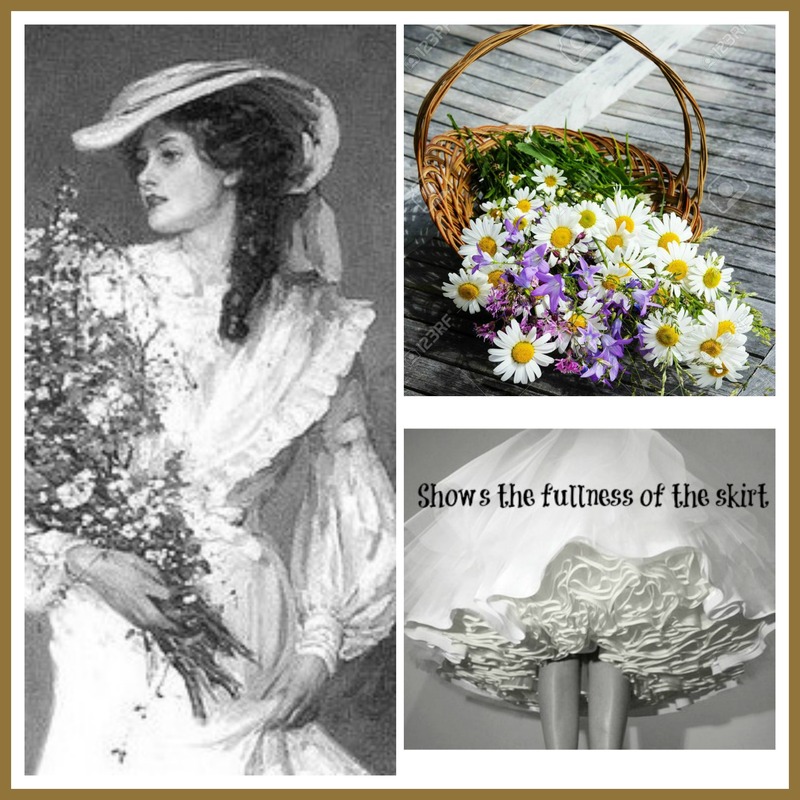 The extremely full skirt has black and white layers of crinoline showing under the skirt. The blouse is white with sheer full sleeves. There is a black belt around your very tiny waist and a black fabric bow with long ties in the back of the skirt. It should be noted that the “colors” of black and white were striking. It’s difficult to describe colors on the Other Side. When a person does an aura reading, you can tell the health and condition of the individual by the brightness of the colors. For example, if the person is ill, the colors will be muted or less vibrant. This also applies to the colors on the Other Side. In your case, the black and white are so vibrant that it was startling and noteworthy. Once I had a grasp of your outfit, you made it a point to draw my attention to your shoes. They were black with a pointed toe, but not too pointed. They were similar to the picture, but much more elegant. This is where it gets really interesting. You wanted me to see that your shoes were better than Judy Garland’s shoes! I had no idea how Judy Garland was connected until I researched the song after the reading, but during the reading I felt the competition between you and Judy Garland. According to Wikipedia, regarding the official song title, “The Fountain in the Park”, this song was sung by Judy Garland in the movie Strike Up the Band. 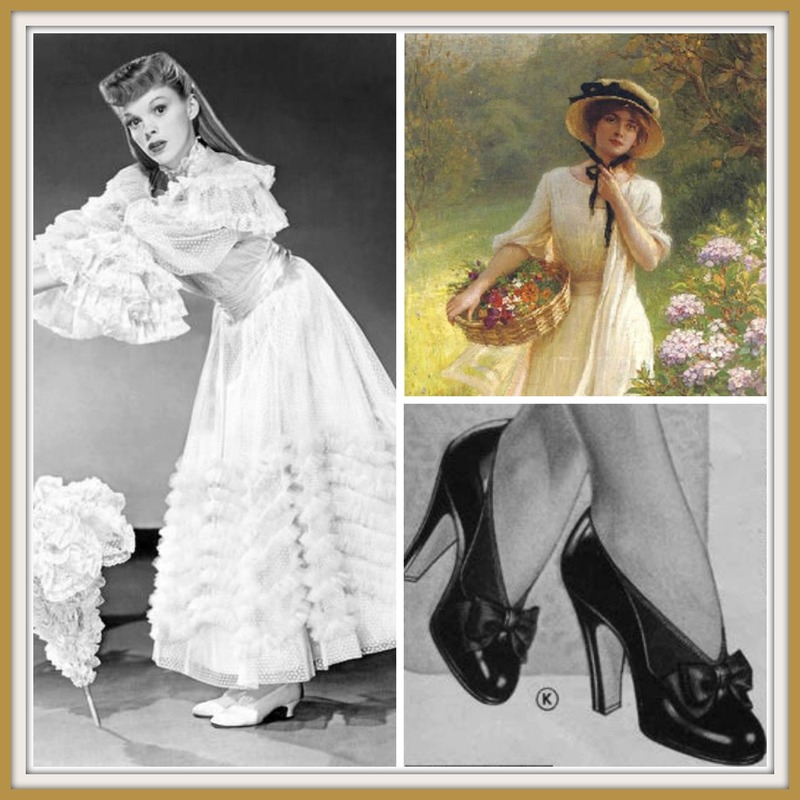 Everything about you – your clothes, shoes and overall look – gave the impression that you were “one up-ing” Judy Garland. There appears to be a hefty competitiveness between your Soul and Judy Garland! You carried a flower basket filled with daisies while you walked. You threw out daisies, here and there, to unknown admirers as you strolled through the park, on your merry way. 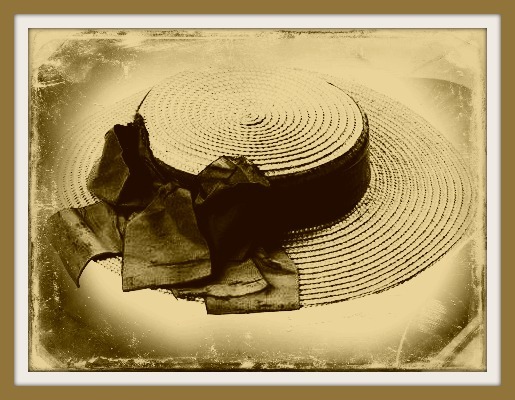 Your Celestial Hat is a wide, yellow straw Hat with a black fabric band. Again, the color of the Hat is striking. The yellow is a soft and warm color. It is also the color of the center of the daisies. Your entire outfit resembled the outfits Judy Garland wore in Strike Up the Band, but your outfit was far superior. You were cheerful and happy, but I had the feeling that there was something not quite right. I asked your Soul if there was a message she wanted me to give you. 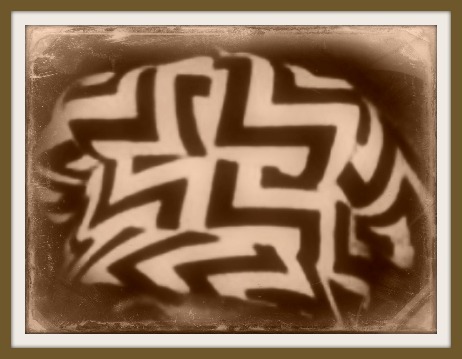 A dark grey storm cloud appeared above you, but it was not within the Circle of Light (I explain this in my book). The cloud was outside the Circle and not on the Other Side, indicating that this is something going on in your current incarnation, here on Earth. Before I perform a reading, I protect myself from evil energies. Before your reading, my angelic protectors acted uncharacteristically. There were more of them than usual and they carried swords. I’ve never seen this before. They were on high alert. It must also be significant that this reading was done in the month of May and the song lyrics contain the words the “month of May”. You should examine this to see if May has some significance for you. It could also be a sign that this reading is noteworthy and this is stressed by the mention of the month it was done. My analysis: Your Soul is a beautiful fashionable woman who is in direct competition with Judy Garland! You are “merrily strolling along” on your way, but you’re being watched by a “pair of roguish eyes”. There is someone dark around you. My protectors weren’t protecting me from your Soul, but they were protecting me from someone who is close to you. I asked if they meant physically, or by watching out for danger? They said both. “The Fountain in the Park”, also known as “While Strolling Through (or Thru’) the Park One Day”, is a song by Ed Haley (1862–1932), published in 1884 by Willis Woodward & Co. of New York, but dating from about 1880. It is best known for the being the source of the tune that contains the lyric “While strolling through the park one day, in the merry, merry month of May,” and has been featured in numerous films, including Strike Up the Band (1940), in which it was sung by Judy Garland. I saw a cat first. It was a tan-colored house cat. It ran in ahead of your Soul. Then the big cats arrived. Your Soul approached me surrounded by a pride of lions. She appeared to be riding them, but she was standing and I realized that she wasn’t actually riding them. She was so connected to them that she floated in above them, as a part of them. She settled down amongst them and it was hard to tell where she was because she blended in with them. That’s why she had to float in above them, so I could see her. There were other big cats – tigers and panthers, but most were lions. You are not a lion-tamer. Your Soul is a part of the pride of Big Cats. You truly are a Cat Woman. Your Soul wears an outfit with tan and brown colors, matching the colors of the lions. It is part safari outfit, part Steampunk outfit. The jacket is fabulous! Your Celestial Hat is not what you’d expect to go with the outfit. 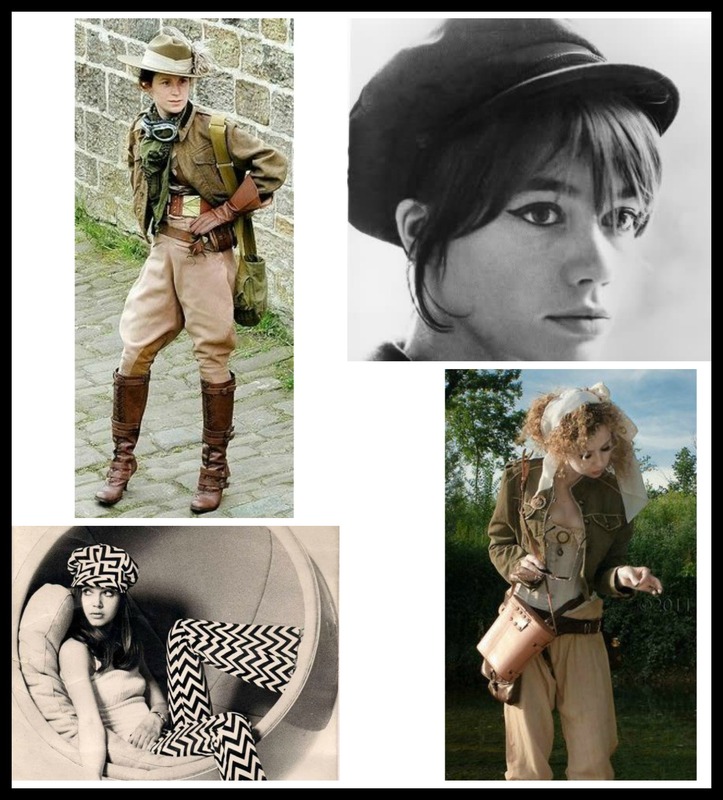 It is a mod, 1960’s Hat, similar to the style of the hats in the black and white photos below. The Hat is tan, matching the outfit. This is one of my favorite Hats! It matches the outfit perfectly, giving an overall modern safari look. I assume the “real” you wants real lions. President Adams wants you to take up the charge to fight for the United States, just like the message he delivered in Presidential Souls. Obviously, John Adams recognizes you as a fighting Spirit. You are, especially since you have a pride of lions surrounding you! Your Soul entered with a larger-than-life commanding presence. The first thing I noticed was how tall your Soul was. Your Soul’s height wasn’t excessively tall, but she seemed taller due to her black high-heels and top hat. She was dressed all in black, with the exception of a stark white shirt. 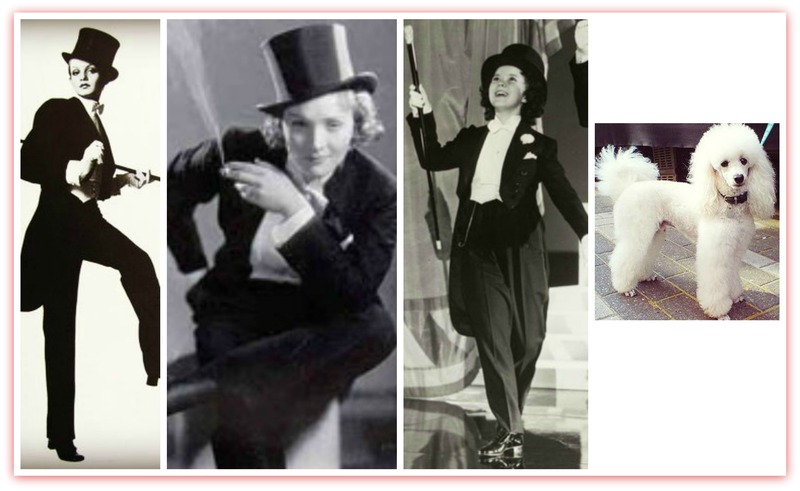 The feminine black tux outfit resembled the pictures below. Your Soul led a small white poodle on a skinny red leash. You both took center stage – literally. You were on a wooden stage and there was a spot-light on you as you tap danced. The poodle jumped up into your arms as you continued to dance. The wooden stage floor was slightly worn in places due to its repeated use. I felt a definite Marlene Dietrich quality about your Soul. Confidence, talent, magnetism and vitality exuded from your Soul. Your Soul even had a haughty Marlene Dietrich air about her. 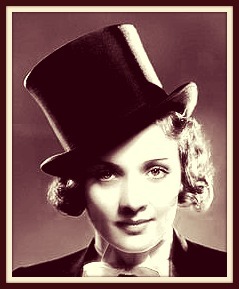 When researching Marlene Dietrich, I read that she, “maintained popularity throughout her unusually long show business career by continually re-inventing herself.” This is the exceptional quality that I feel within your Soul. You have a better-than-average capacity to change. If there is something about yourself in this incarnation that you would like to change, you have the strength, power and ability to do so, and you will have the power of your Soul working with you. You’ll need to determine how your Soul and the messages relate to your life now. You have a dynamic, confident and powerful Soul to assist you in this life. Don’t ever doubt that you have the power to change whatever you’d like to change.